ASE (Asian Sealand Engineering Pte Ltd) is one subsidiary of Beng Kuang Marine Limited, which based company with marine, offshore and oil & gas industries. 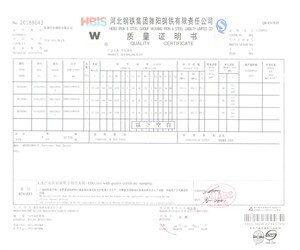 In June, 2011, HZZ is so lucky to get the order from ASE about 610 tons of Shipbuilding Steel Plates ABS EH36 and CCS EH36. 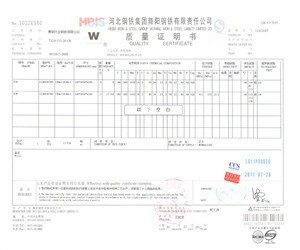 The plates are all heavy, thickness from 70mm to 100mm (please refer to the pictures of Quality Certificates). Primer blasting and painting shall be done for rust protection. That saves much money for client (You can see the photos of surface painted plates). Later, another purchase from ASE comes. This time, it’s not plates, just the padeyes which applies in the ship and offshore platform. Because it will support big ship. The high technical requirements are necessary during the fabrication. We suggest the clients to do Normalizing Heat Treatment and Ultrasonic Test A435. In a word, the cooperation with ASE is excited and memorable. We are still expecting to work with him in the near future.